You can’t run a business on a flip phone. Unfortunately, too many companies today have finance and accounting support that is about as effective as a flip phone. The wrong people, inefficient processes and information spread across multiple systems consumes time and makes it difficult for busy executives to understand how the business is performing. That’s where Consero Global comes in. Consero is disrupting the way companies address their finance and accounting needs with Finance as a Service. Finance as a Service is more than outsourced accounting – it’s a combination of personalized finance expertise, reliable back office support and software that gives you the clarity and confidence to make the right businesses decisions and a predictable and cost-effective service-based pricing model. We are unique because we combine traditional CFO, controller and bookkeeping services with proven processes and integrated software. Clients gain enterprise level financial visibility and operational controls at a fraction of the cost and time required to setup and manage an internal finance department. Consero’s platform includes a single cloud-based customer interface called simpl that lets you interact with your finance team and view all financial information. Whether you are looking for or just received financing or you’re an established business, Finance as a Service will give you the guidance, financial visibility, operational efficiency, and confidence you need to excel. 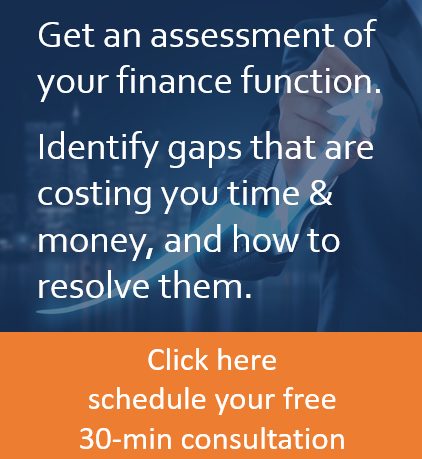 Contact us to learn more about Finance as a Service – we can have you up and running in as little as 30 days.